Since their launch in September 2015, InstaCasino has steadily grown, and now available on your mobile device, this casino boasts 800+ games on site - many of which are playable wherever you go. With a minimalist theme and simplistic user interface, the mobile version of InstaCasino has everything you need right at your fingertips. From casino table games to slots, this casino is host to many of your favourite games by some of the best game developers around. Flaunting stunning graphics and seamless animations, InstaCasino and its games have set the bar considerably high for new casinos everywhere. With a dedicated, friendly and multilingual Support Team available 24/7, handpicked by the very people who built InstaCasino from the roots up, you will find all the support you need only a click or phone call away. And with plenty of ways to contact them you will never be left in the dark. Depositing and withdrawing from InstaCasino couldn't be easier! With a variety of popular ways to play and collect your winnings, this casino has clearly made its decisions with care, consideration and the player’s best interests at heart. InstaCasino has partnered itself with a wide and diversified range of banking options to make things easier and more convenient for you, the player. By way of credit cards, debit cards, online payment and transfer solutions as well as e-wallets, the casino has made sure that there will always be a way to deposit and withdraw. Popular brands accepted at the casino include Visa, MasterCard, Skrill, Neteller, Paysafecard, Zimpler, Trustly and others. With the sheer amount of games available at InstaCasino, it won't be long before you find a game with a big jackpot! With most games available on desktop and mobile, you can try your luck at taking home one of many jackpots here. Along with gaming experiences for all types of players with different levels of gaming experience, you will be sure to find some old favourites, and maybe even some new ones! With an average Return To Player (RTP) ratio of 97%, InstaCasino is very popular with a lot of players. Whether you're at home or on the move, you won't be disappointed with what InstaCasino has to offer! 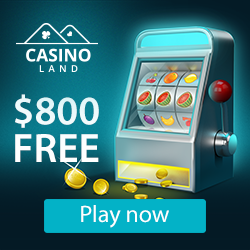 The secret to InstaCasino’s staggering 800 mobile casino games lies in its assortment of not just the games themselves, but in the manner it’s gone about getting those games. By consulting with and procuring the services of some really big names in the industry, this casino has scored some truly great deals and this by extension means that you too can and will score. Quality only begets quality and at InstaCasino this is what you’ll get – quality games and quality wins. The following software providers have lent their talents and support to the InstaCasino brand: Quickspin, Evolution Gaming, Thunderkick, Play’n GO, Nyx Interactive, Betsoft, NetEnt and Microgaming. With a very generous Welcome Bonus promotion, InstaCasino has gained quite a following in the short time that it has been running. Offering a 100% 1st Deposit Bonus up to $/€300 as part of the Welcome Bonus package, and plenty of offers and promotions being sent out via SMS or email, what more do you need to kick start your InstaExperience today! Don't miss out. InstaCasino is regulated by both the Malta Gaming Authority and Curacao Egaming – two island territories known for their expertise in the overseeing and upkeep of standards within the inline gaming sector.